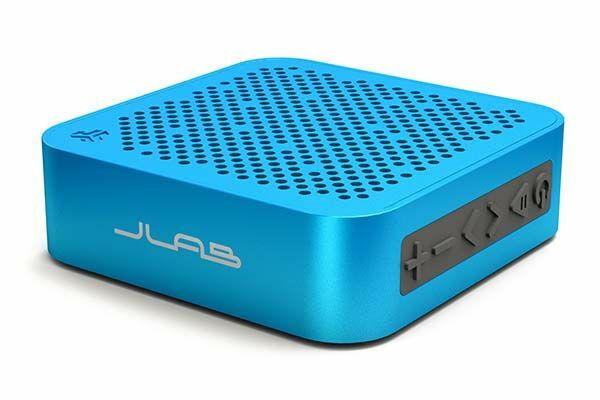 JLab Audio recently released two new portable speakers: Crasher Slim and Crasher Mini. 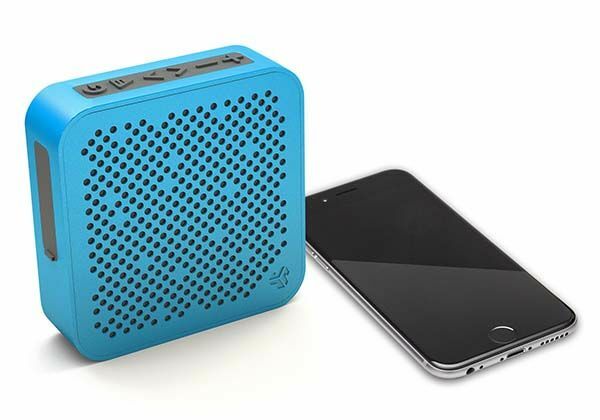 If you want to take your music in your pocket, the Crasher Mini Bluetooth speaker may draw your more attention. The Crasher Mini is an ultra portable and slash proof wireless speaker that measures 4.1 x 4.1 x 1.3 inches and weights .64 lbs. As we can see from the images, the speaker boasts a compact and sleek design, and smooth corners and charming metallic luster add much modern aesthetic feeling to Crasher Mini. Meanwhile, metal housing is IPX5-rated so it withstands dust, sprinkles and even a quick rinse-off. 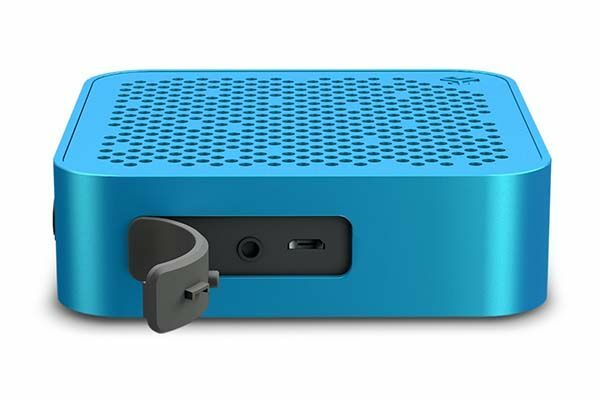 The mini speaker comes equipped with a 1.5″, 5w hi-fi neodymium driver and a 2.5″ passive subwoofer in order to produce crystal clear audio in its compact body. Moreover, built-in Bluetooth technology allows it to work with your Bluetooth-enabled smartphone and tablet, which streams music from up to 30 feet away. Furthermore, an extra aux-in port makes it support any music player, and built-in microphone lets you make or receive handsfree calls. In addition, its 2,200mAh rechargeable battery offers 10-hour battery life between charges. The Crasher Mini Bluetooth speaker is available in two colors, each costs $39.99 USD. If you’re interested, jump to JLab Audio for its more details. BTW, also don’t miss RiverFi portable Bluetooth speaker and more related cool stuff by following tags.